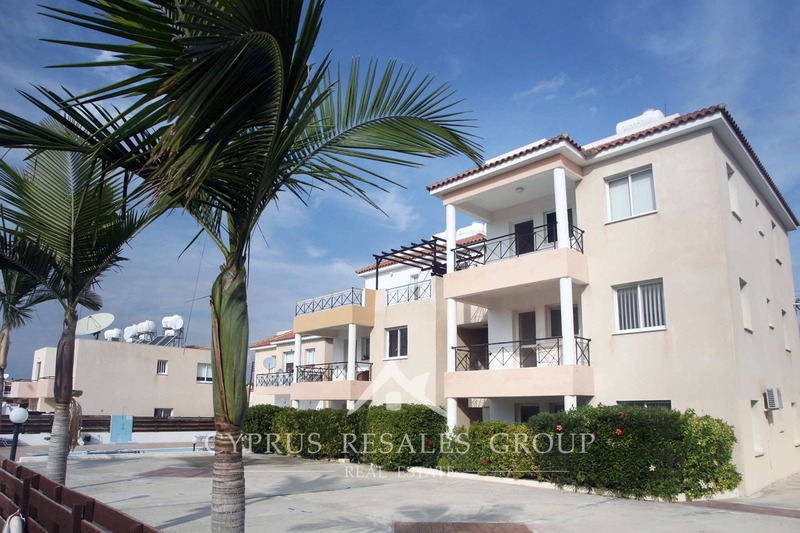 Alkioni complex by Petrabuild developers is conveniently located in the popular Universal Area of Kato Paphos. 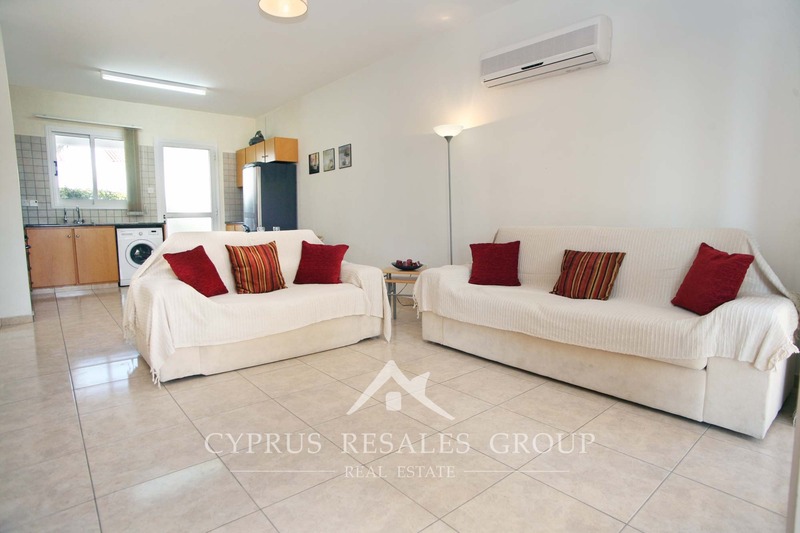 Only 1.4 Km from the Paphos coastline and popular Harbour area, you have an easy access to a great variety of holiday facilities and modern infrastructure. 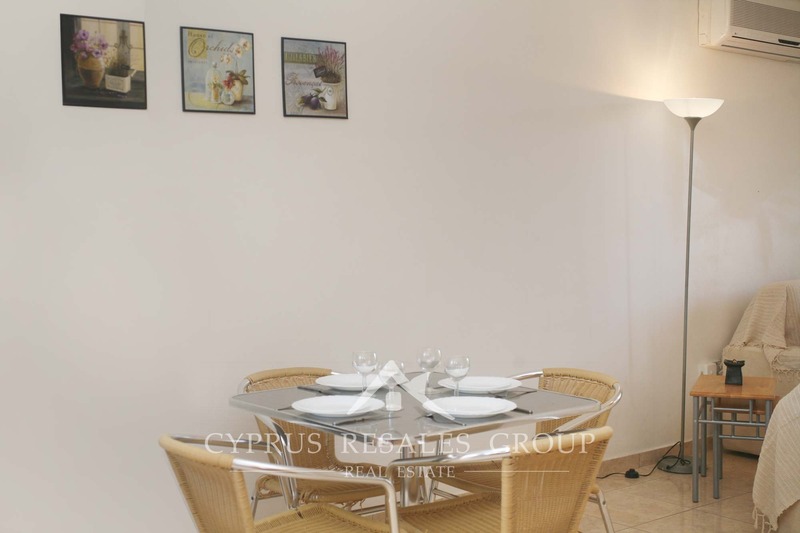 Kings Avenue Mall - the new highlight of Paphos and not just for shopping, but also for entertainment and dinning, is also within easy reach from your new home. 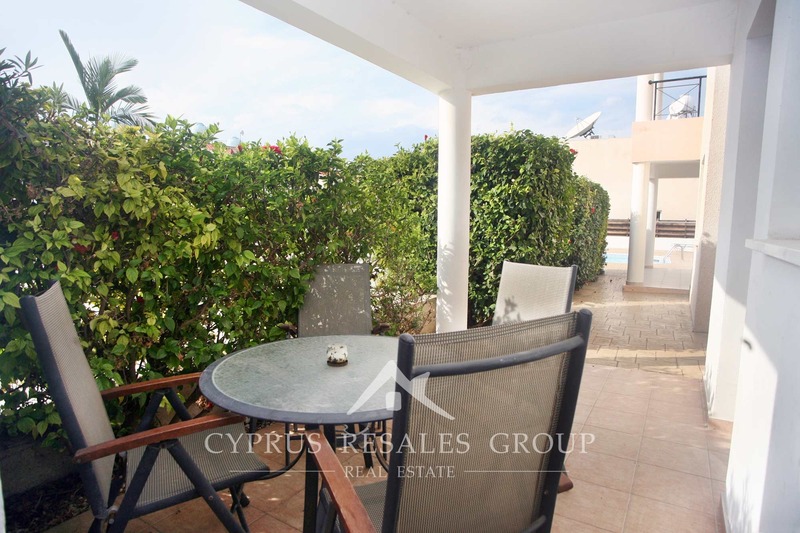 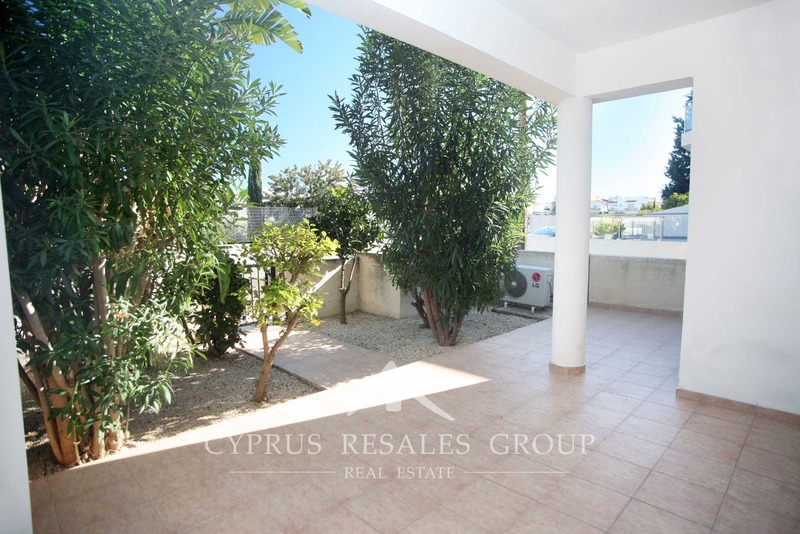 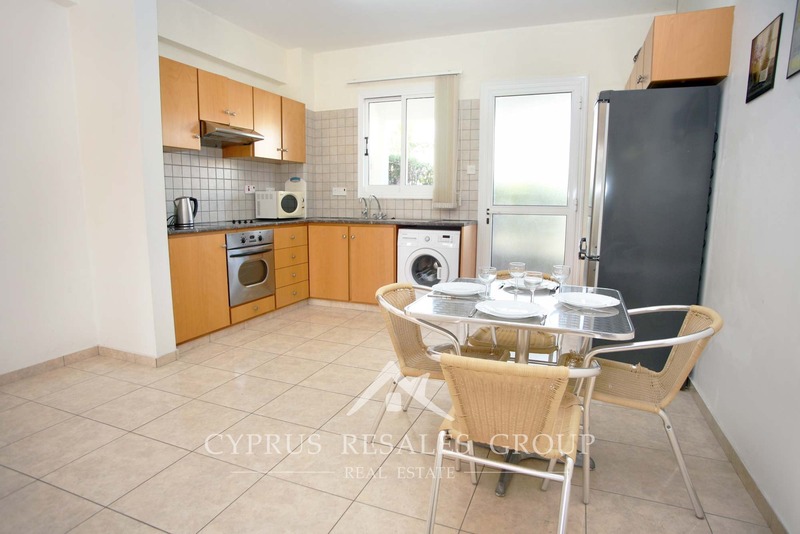 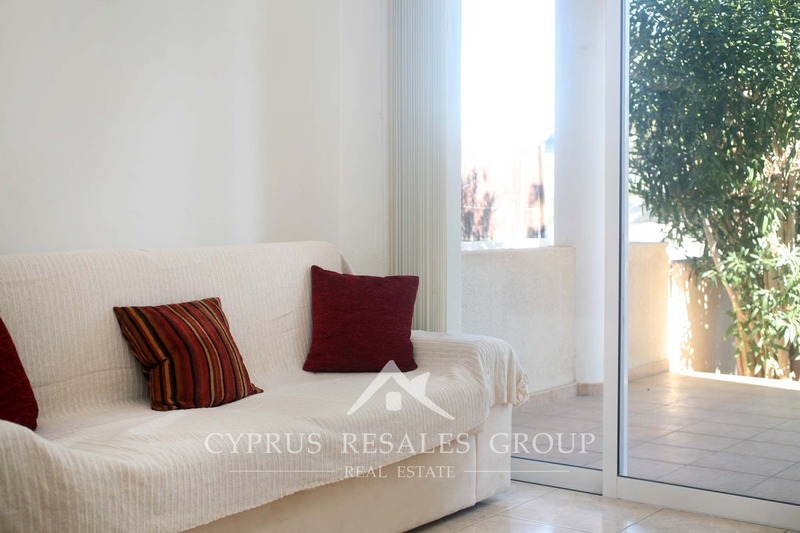 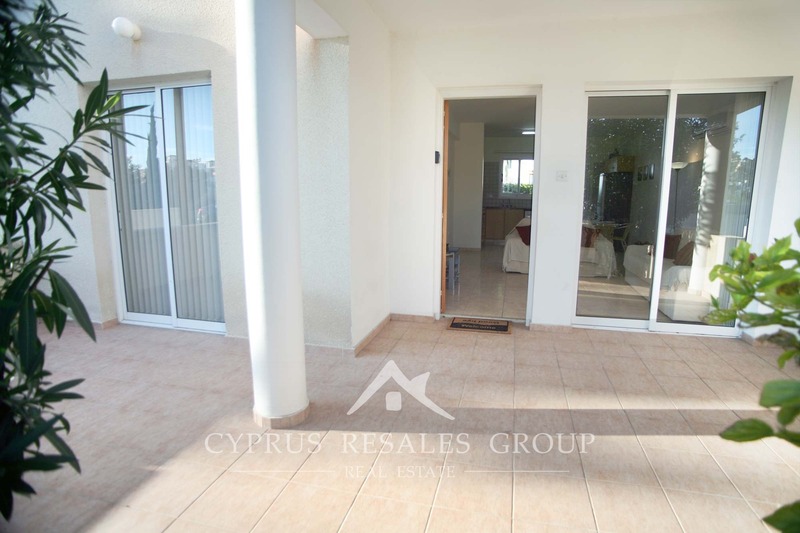 This lovely ground floor apartment in the heart of Kato Paphos benefits spacious secluded verandas on both to the front and to the rear, providing it with extra privacy. 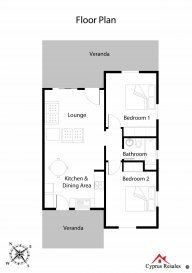 A large open plan living /dining room with integrated kitchen is spacious and practical in equal amounts. 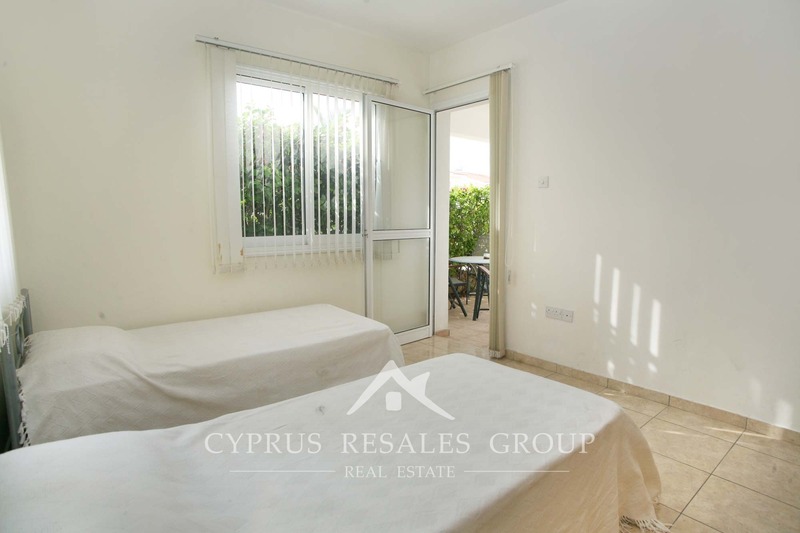 A small corridor leads to two bedrooms both with patio doors leading to the gardens. 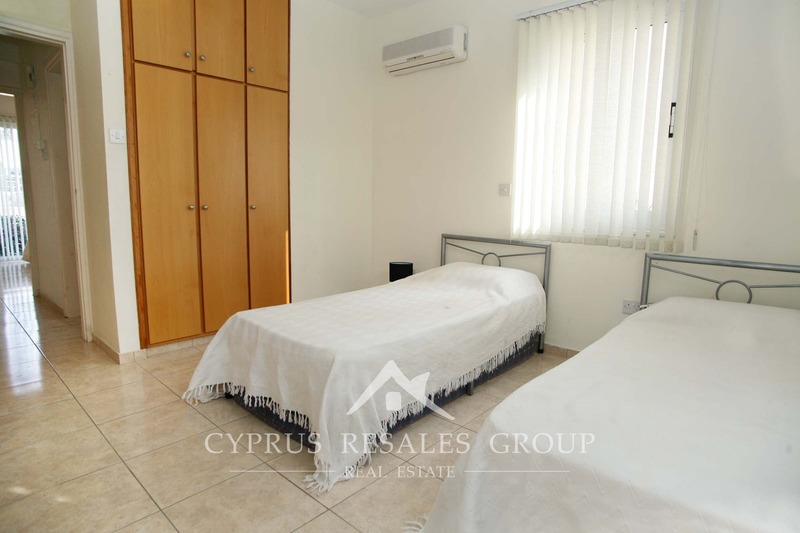 A full size family bathroom is conveniently positioned between the two bedrooms. 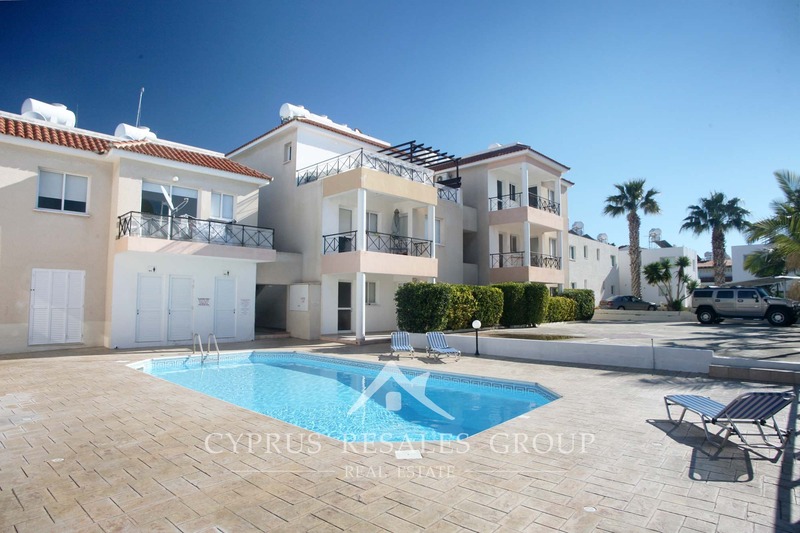 To the rear of the project we find a large common swimming pool with sun terraces and private parking for residents. 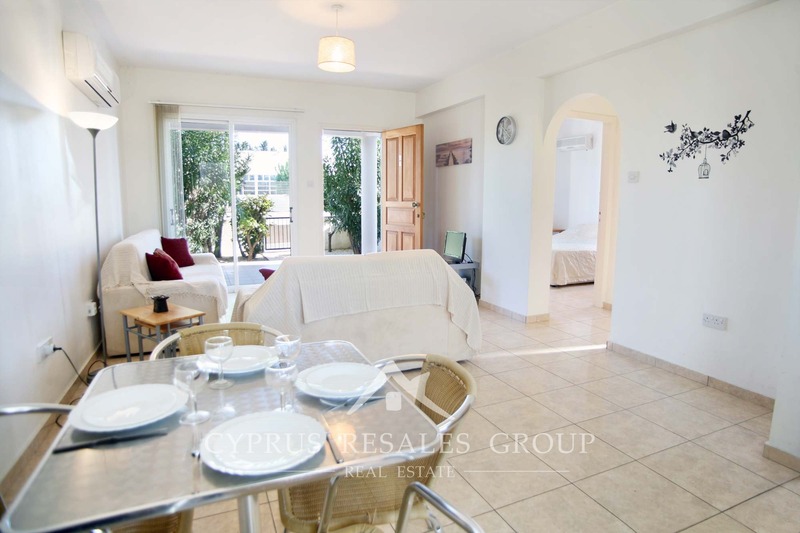 A perfect Paphos holiday home with superb exotic private sitting areas. 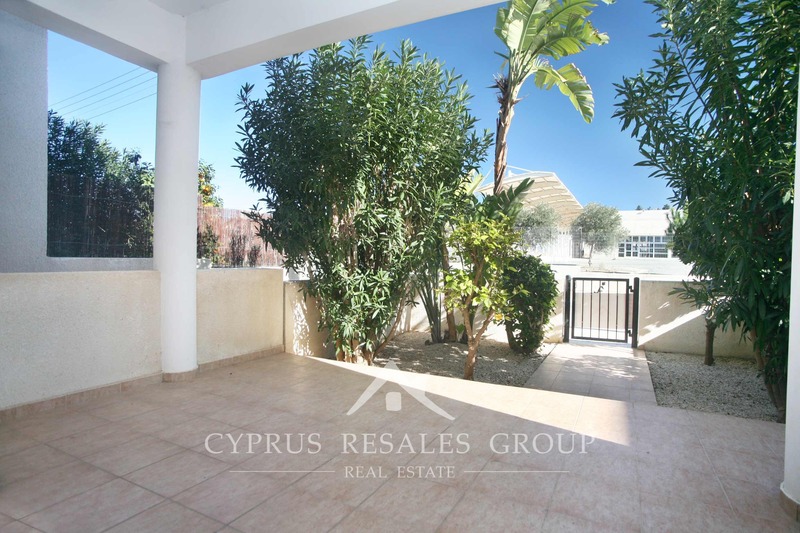 All you hard work surely means you deserve to soak in some Cypriot sun. 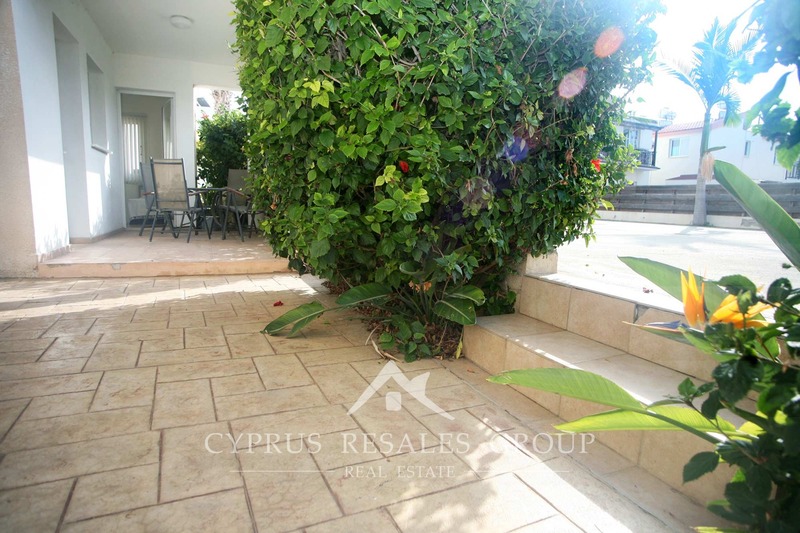 With FULL TITLE DEEDS and a realistic price. 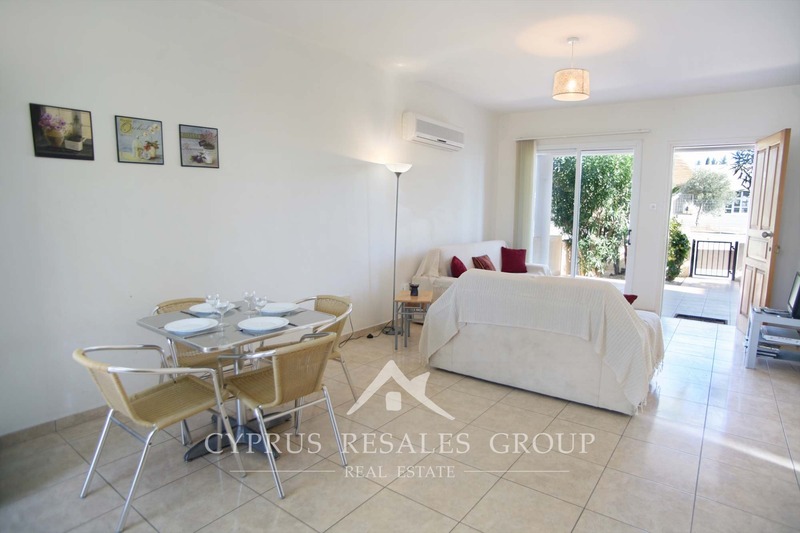 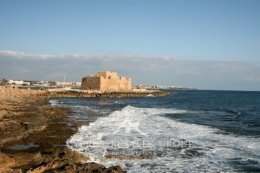 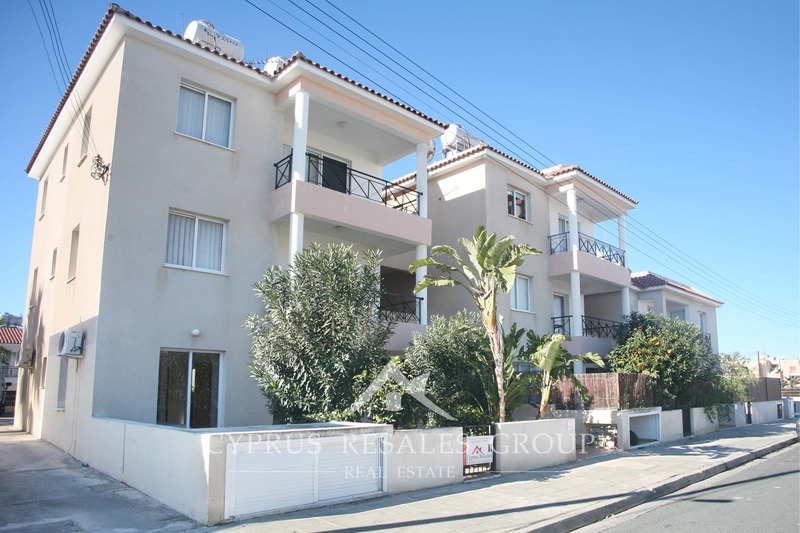 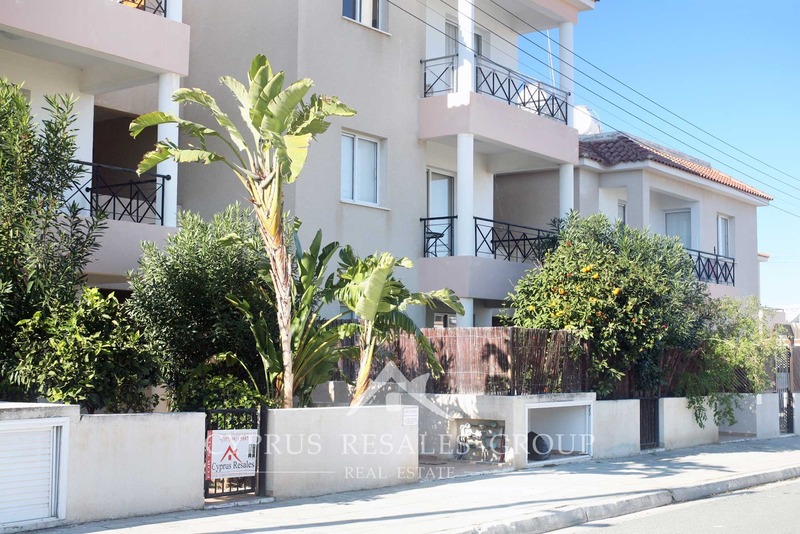 Buy with confidence from Cyprus Resales, the leading estate agent in Paphos.